The Platform benefits all who need access to the genetic diversity of crops, both within and outside CGIAR. Farmers from the Maizes de Colores (Maizes of Color cooperative) compare the different maizes they each have harvested. Maizes de Colores is a Cooperative that works to preserve the farming of native maizes know as Criollos. Temoaya, Mexico. 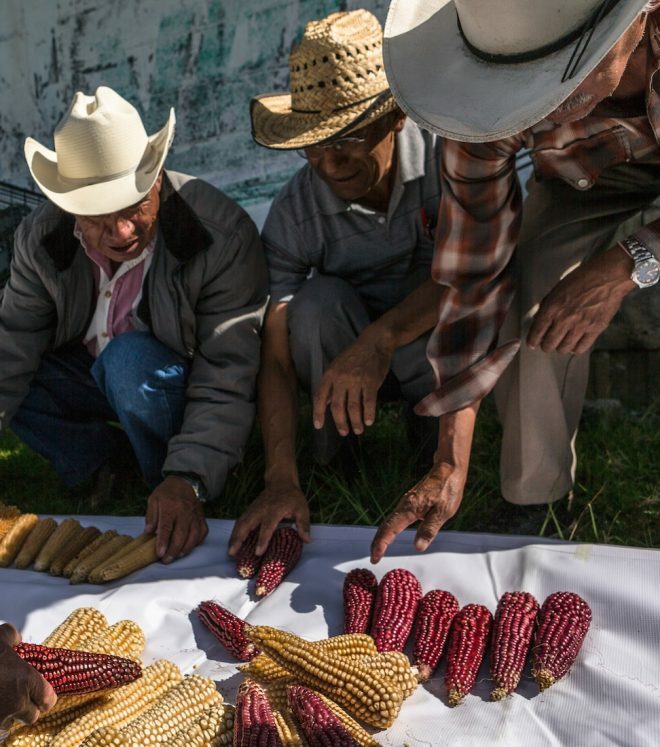 Photo Credit: Juan Arredondo/Reportage by Getty Images for Crop Trust. Researchers and breeders can call upon the Platform for germplasm, data and support like GHU services and policy advice. The Platform takes an active approach to foster two-way engagement between genebanks and users. 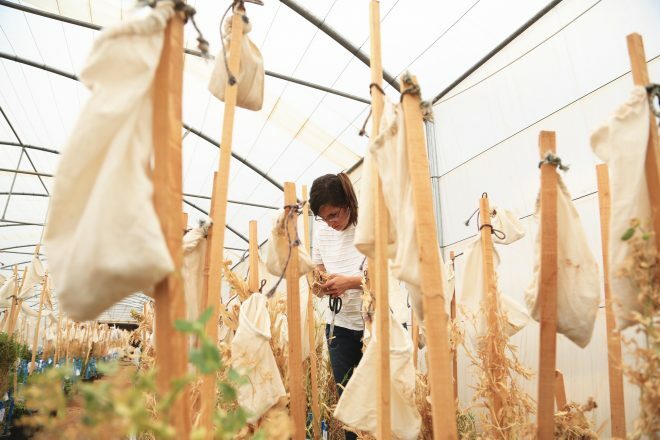 Genebanks supply germplasm and information and users return new information on the germplasm they receive. Links with the CGIAR AFS CRPs, and the Excellence in Breeding and Big Data Platforms are a prominent aspect of this exchange. Within CGIAR, all CRPs and Platforms make use of the services provided by the Genebank Platform. For example, pre-breeding programs source germplasm from the genebanks and return data on germplasm, enhancing the value of the material. The Platform facilitates the work of breeders by developing tools that make it easier for researchers to find the germplasm they need. Outside CGIAR, the Platform receives requests for germplasm and support from universities, NARS, advanced research institutes, genebanks, NGOs, farmer groups and the private sector. Many CGIAR genebanks have developed strong ties with these communities. The Platform is consolidating and expanding these ties to bring in new users and to encourage a more productive two-way flow of information. NARS and universities often maintain collections of their own, and are valuable partners in many areas, including collecting missions, studies of diversity and phytosanitary research. They also share information on GENESYS. Farmer groups and the private sector are also important users of the CGIAR genebanks.